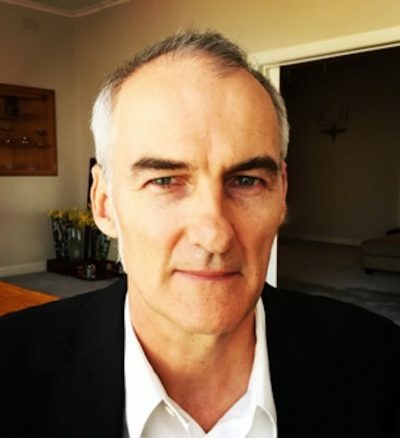 Mike Shuttleworth is the campaign manager for the Australian Children’s Literature Alliance, which administers the Australian Children’s Laureateship. He has also worked as an events programmer, curator and reviewer. He shares his career journey. Creating and managing literature programs wasn’t a career opportunity listed at high school. I didn’t know what I wanted to do beyond going to university and reading as many books as possible. Yet, over the past 15 years, I have designed several programs that promote reading and books for teenagers, children and adults, and worked with a who’s who of Australian writers and illustrators. I spent the 1990s in Perth, organising monthly poetry readings and gaining a professional library qualification, before deciding to move to Melbourne in 1996. When my daughter Iris was born in 1999, I stopped working at the Victorian Writers Centre to be her primary carer. Studying professional writing at RMIT University and regular reviewing for the Sunday Age led to a job working with Agnes Nieuwenhuizen at the Centre for Youth Literature (CYL) at the State Library of Victoria in 2002. Agnes’ passion for reading was, and remains, irresistible. I learned a hell of a lot from her about focussing the programming on the audience; about prepping speakers to create a sense of an occasion; and not to be happy if an author ‘was just busking’—Agnes’ shorthand for anyone not giving their best. CYL had a big events program, and its Reading Matters youth literature conference grew to attract the world’s best: John Green, M T Anderson, Malorie Blackman, David Almond, Meg Rosoff, David Levithan, the late Mal Peet and Jacqueline Wilson all remain fixed in my memory. Australian author Lili Wilkinson also worked at CYL at the time, and the three of us formed a pretty good team, running regional and city events with Andy Griffiths and Terry Denton, Garth Nix, Melina Marchetta, Randa Abdel-Fattah … everyone really. Working at the State Library of Victoria gave me the opportunity to curate the 2011 exhibition Look! The Art of Australian Picture Books Today. The show had works from nearly 50 contemporary illustrators and toured to six galleries. I learned about refining ideas—how less can be better—from a great team including exhibition manager Anat Meiri and department head Robert Heather. Moving to the Melbourne Writers Festival at the end of 2011, where I was director of the Schools’ Program, expanded my role to include adult programming, managing the details of 400 or more writers each year. Programming writers from the New Yorker and London Review of Books was a wonderful privilege. I was able to put into practice what I learned and developed at CYL on a bigger canvas. The Schools’ Program thrived, recognised for the value it brought to the festival. At the moment, I’m working with just one writer and artist: Leigh Hobbs, the 2016-17 Australian Children’s Laureate. My role as the launch and campaign manager with the Australian Children’s Literature Alliance (ACLA), a voluntary network of passionate book industry professionals, is to back the Laureate role. As Laureate, Leigh has chosen to champion the role of libraries and librarians; the work of his colleagues, and the creative potential of children. I’ve helped create Leigh’s national program in partnerships with state and territory libraries, with the aim to inspire creativity and participation in reading and drawing. In Australia, I think we are still working out what a Laureate can be, but Leigh has brought a sense of fun to the role and people immediately embraced him. I’m also working three days a week at Readings in Hawthorn, sometimes on events, sometimes in the children’s and YA area or generally on the shop floor. I enjoy fielding questions from parents and kids, and finding that next book to challenge and delight them. I’ve also had the pleasure of chairing the Prime Minister’s Literary Awards panels for Children’s and Young Adult Fiction. We’re a happy and cohesive lot with more debate and discussion than horse-trading and arm-twisting. Mine is an unusual skill set that mixes events, writing, judging, curating, talking about and presenting books and writers. My professional career began in libraries, and I still see myself as a kind of librarian. I’m a book person through and through, and my career goal is simple: to make the next 15 years as exciting and rewarding as the past 15 have been. This Is Not a Book by Jean Jullien. Publisher Phaidon is putting out a lot of great European illustrators and writers, including Tomi Ungerer, Beatrice Alemagna and Jean Jullien, whose new wordless book has a touch of Hervé Tullet’s ‘book as game’ about it. Somehow Jullien takes the concept even further in a playful puzzle of a book that will intrigue and delight even the most book-blasé young reader. I’m also reading Dreaming the Enemy by David Metzenthen (A&U), about a returning Australian soldier haunted by his service as a conscript in Vietnam. Vivid, bold and strange, this is Metzenthen at his best.